I am always on the lookout for a good mac & cheese recipe. The students just love it and I must admit - I do, too! Confession: LOVE Kraft macaroni and cheese. I think I could eat it every single day. However, I do not like Velveeta mac and cheese. Not a fan. The cheese is kind of waxy and..I don't know. Anyway, although I know homemade mac and cheese isn't all that healthy, I feel like if I make it myself - it is only like 100 calories for a 2 cup serving. A girl can dream - right? I loved this recipe. However, the next time we make it we are going to make sure that the noodles are really really saucy, or else it kind of dries up in the oven. But I refuse to do without the breadcrumb topping, because let's get real - that is the best part!! 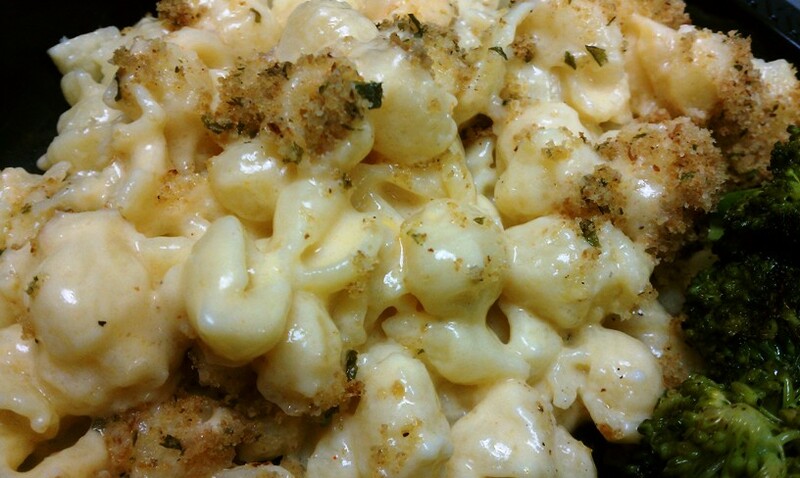 To make the bread crumb topping, melt the butter in a medium skillet over medium heat. Add in the panko and cook, stirring frequently, until the bread crumbs are a light golden brown. Remove from the heat and stir in the parsley. Season with salt and pepper to taste. Set aside to cool. Preheat the oven to 400˚ F. Bring a large pot of salted water to boil. Add the pasta to the water and cook just until it begins to soften, about 5 minutes. Drain the pasta and leave in the colander. Return the pot to the heat. Melt the butter over medium-high heat. Stir in the garlic, dry mustard, and cayenne, cooking just until fragrant, about 30-60 seconds. 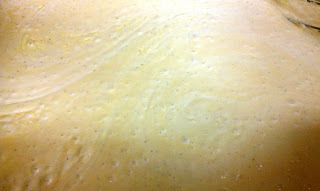 Whisk in the flour and cook, stirring constantly, until golden, about 1 minute. Whisk in the chicken broth and milk and continue to heat, stirring frequently, until the mixture bubbles and thickens slightly, about 10 minutes. Remove from the heat. Stir in the cheeses, whisking until completely melted. Season with salt and pepper to taste. Stir the drained pasta into the cheese sauce.